Eating green leafy vegetables in larger portion daily may reduce the risk of developing fatty liver disease, suggests researchers in a mice study. Fatty liver or liver steatosis is a common liver disease and the most important causes are overweight and high alcohol consumption. 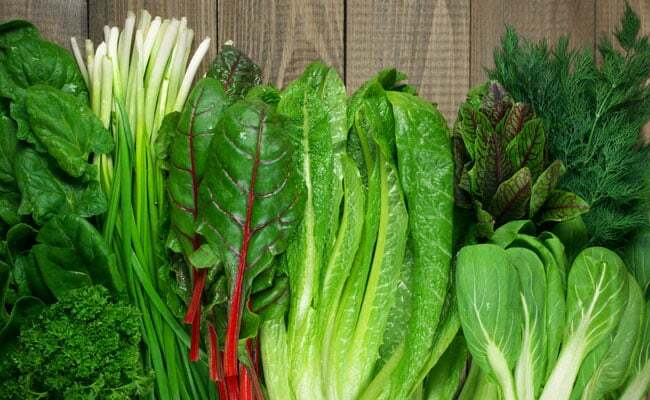 Green leafy vegetables contain inorganic nitrate that can help prevent the accumulation of fat in the liver. “When we supplemented with dietary nitrate to mice fed with a high-fat and sugar Western diet, we noticed a significantly lower proportion of fat in the liver,” said Mattias Carlstrom, Associate Professor from the Karolinska Institutet in Sweden. “No one has yet focused on nitrate, which we think is the key. We now want to conduct clinical studies to investigate the therapeutic value of nitrate supplementation to reduce the risk of liver steatosis,” Carlstrom said. The findings, published Proceedings of the National Academy of Sciences, also showed that a higher intake of fruit and vegetables has a beneficial effect on cardiovascular function and on diabetes. Leafy vegetables and fruits also led to reduction of high blood pressure and improved insulin and glucose homeostasis in mice with Type-2 diabetes. There is currently no approved treatment for the fatty liver disease, which can deteriorate into life-threatening conditions such as cirrhosis or liver cancer. The results could lead to the development of new pharmacological and nutritional approaches, the study said.